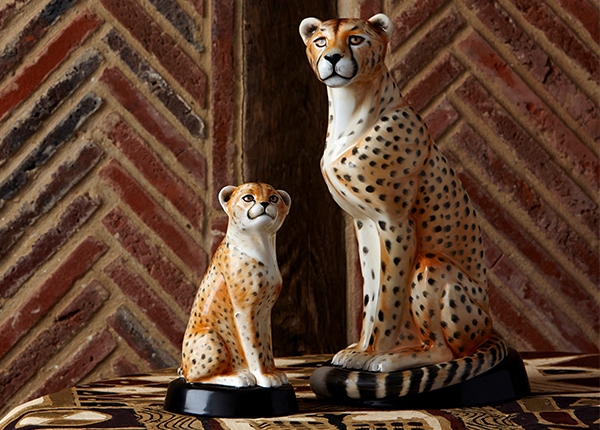 Summer is well and truly underway so what better way to celebrate this colourful season than to launch Royal Crown Derby’s latest introductions as part of the Giftware Range. 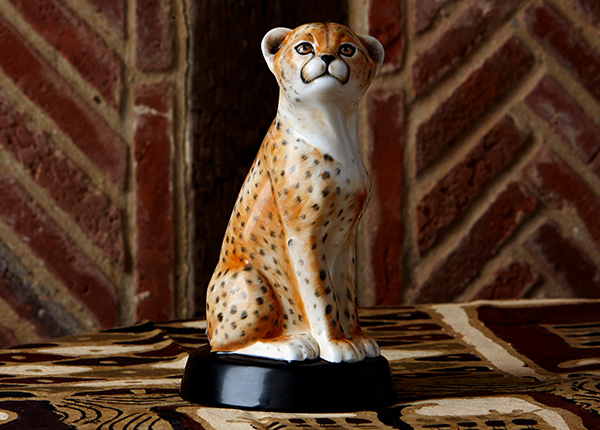 View the African Cheetah Cub here. The ever-popular Old Imari Solid Gold pattern sees the launch of the Robin, using a beautifully adapted version of design, the Robin’s berry red plumage is depicted perfectly using wonderful rich tonal colours featured in this truly historical Royal Crown Derby design. Open lattice designs join striking geometric shapes and intricate floral inspired motifs to illustrate the exquisite feather detailing on the Robin in striking shades of rich red and Derby cobalt blue, made famous by the 19th century pattern. 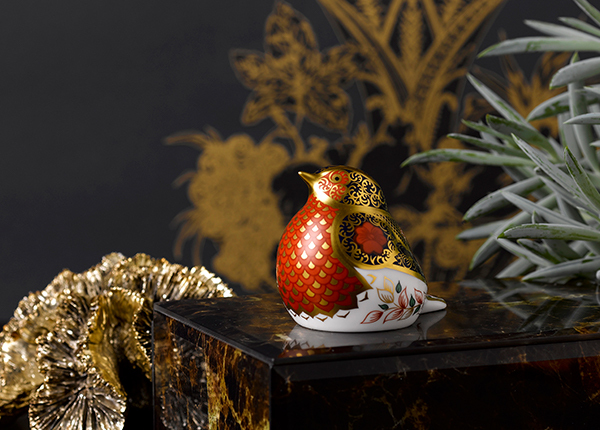 Peonies synonymous with the original design adorn the wings and body, adding a lovely detailed touch to the bird, decorated with 22 carat gold bringing a wonderful opulent finish to the Robin. View the Old Imari Solid Gold Band Robin here. 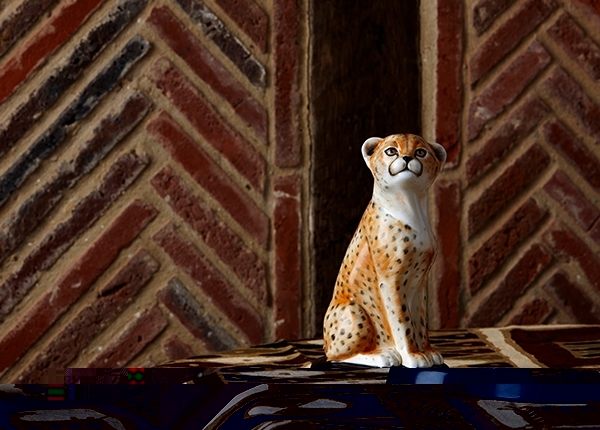 Royal Crown Derby are pleased to announce an early christmas release with the Christmas Hedgehog, a perfect gift for the festive period. 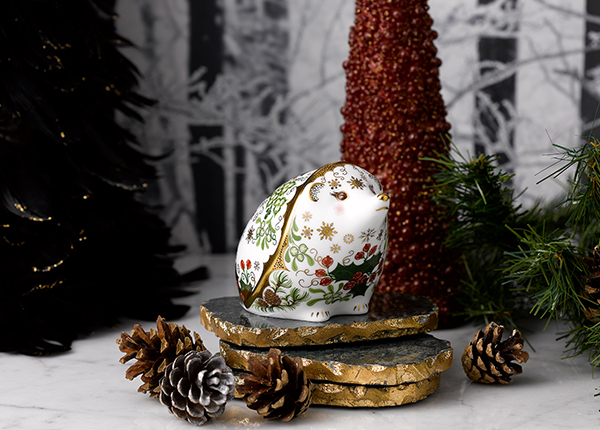 Stopping to smell the crisp winter air is the Christmas Hedgehog, a new addition to the Royal Crown Derby Giftware Collection. Adorned in beautiful evergreen sprigs of holly, ivy, mistletoe, pine and stunning poinsettia flowers adds wonderful berry red and luscious green shades of colour to the hedgehog synonymous with the Christmas period when traditionally evergreen plants are brought into homes to decorate and celebrate this wonderful time of year. This superb piece is finished spectacularly in 22 carat gold, a traditionally used colour theme during Christmas time, with snowflake detailing elegantly outlining the body of the paperweight and highlights the hedgehog’s mouth, nose, eyes, feet and ears adding a truly beautiful touch of magic to the Christmas Hedgehog. View the Christmas Hedgehog here.